Occasional damaged file components is not uncommon for QuickBooks. It is common enough that the verify utility should be used whenever contemplating any file upgrade or major operation, even if you do not suspect data damage. Chronic or consistent damaged files however, is an indication of a deeper issue, such as a damaged installation of QuickBooks, network or system damage and/or problems with negative inventory or import utilities. This guide is intended to help troubleshoot a wide variety of corruption issues but is in no means comprehensive. 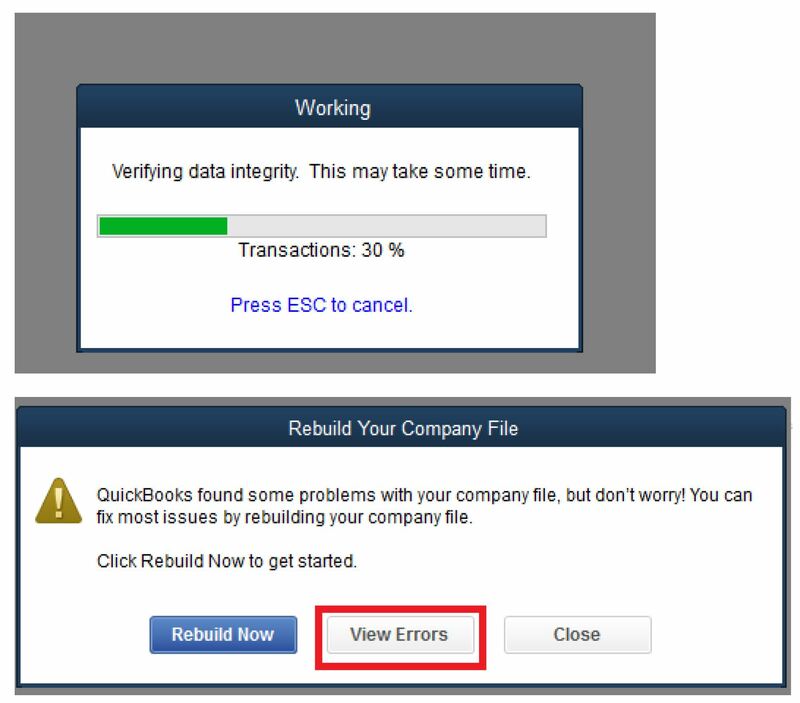 Please update your QuickBooks software with all of the latest patches for its release and run the Verify data utility BEFORE any major updates are done to the file – for example any time you are considering compressing data, rebuilding data, upgrading quickbooks OR if you suspect damage to the file (such as a balance-sheet out of balance issue). Do not run rebuild until you know the nature of the damage, even if the file advises you to run rebuild. It should be note that all of these activities need to be done in Single User Mode. Wait a while for the verify to process. Resist temptation to rebuild now. View errors first. Many errors cannot be fixed by rebuilding and several error types can actually damage the file further if rebuild is attempted. Particularly pay close attention to any error types that say LVL_SEVERE_ERROR– The decryption has failed. Encryption issues must be resolved manually, otherwise rebuild can damage the file further. You will need to examine the QBWin log (instructions at the bottom of this article) to gather details about the exact account/list/transaction that has the encryption problem. Some examples are user accounts (delete the affected user account and re-create with a different user name); or encryption errors such as credit card numbers (replace credit card number with all zeros – I don’t generally recommend storing payment information in QuickBooks, but if it is already there you’ll need to overwrite with a different one. Encryption errors on the master admin account will need to go to Intuit data support for engineering and may not be recoverable. For this reason, we do not recommend regular use of the Admin account for day-to-day editing. 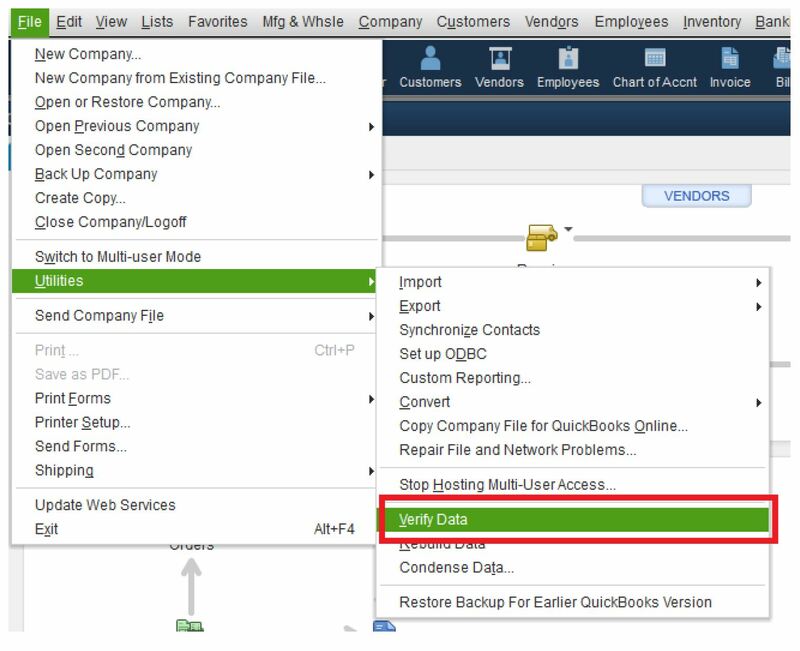 The master admin account is the “master key” to encryption for all sensitive data in QuickBooks.